If you’ve ever visited St. Lucie County Tax Collector Chris Craft’s Fort Pierce office, chances are you’ve noticed the bright, colorful tree on the wall of the lobby. It’s as vibrant as Christian Medina, the Lincoln Park Academy baseball player who inspired the “Tree of Life” display. Christian died due to injuries suffered in a car accident on his way to school in 2013. As a registered organ donor, he left a priceless gift by saving three lives through his donation. To honor his memory and encourage more people to be heroes like Christian, Craft invited Donate Life Florida to create a wall display in his office five years ago this month. Since then, 50% of St. Lucie County drivers have become registered organ donors, making the county’s driver license organ donor designation rate one of the highest in the state. For more information on Christian’s Tree of Life and the St. Lucie County tax collector’s office, visit www.tcslc.com or contact Carin Smith, Communications Director, at carin.smith@tcslc.com. The St. Lucie County Tax Collector, Chris Craft, has three offices located in Fort Pierce and Port St. Lucie, Fla., open Monday through Friday, 9 a.m. – 5 p.m. 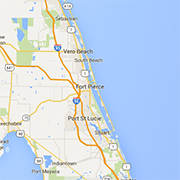 The office handles property taxes, tax certificates, tourist development, motor vehicle registration, driver licenses, motorized vessel registration, mobile home registration, disabled parking, hunting and fishing licenses and local business taxes. For more information on the St. Lucie County Tax Collector, please visit tcslc.com, call 772-462-1650, or email taxcollector@tcslc.com. “Like” the St. Lucie County Tax Collector on Facebook at https://www.facebook.com/StLucieCountyTaxCollector and follow on Twitter @SLCTaxCollector. 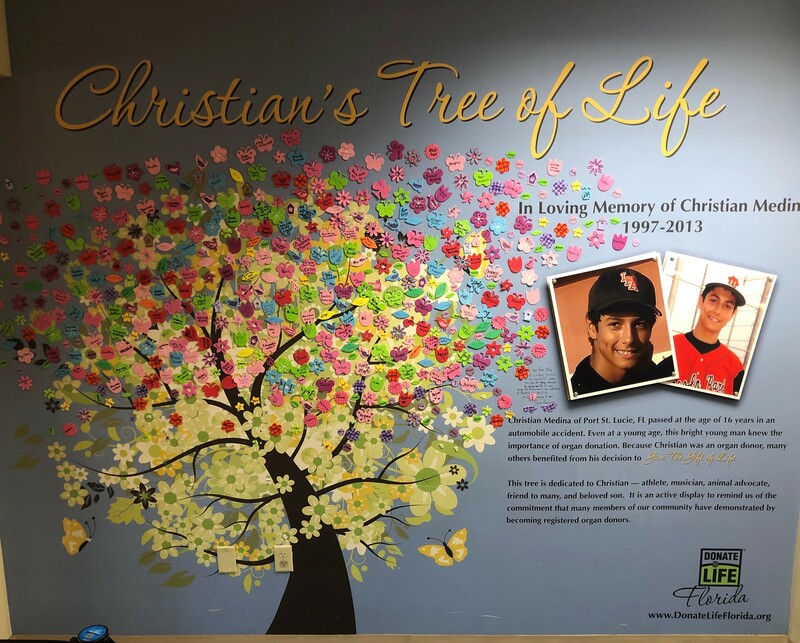 Christian’s tree of life: The display in Fort Pierce is decorated with names of people who have become registered organ donors over the past five years.